Let’s be clear about Neuro Clear: this isn’t the only supplement to carry this exact formula. From the ingredient choices to the ingredient dosages, this same formula is sold under various brand names. And so you’d think: it must be a pretty damn good formula! Right? YehhhhiiiiI’m not so sure about that. If you search “nootropics” on Amazon, you’ll find several nootropic brain health supplement brands that share the same ingredient profile — down to the same misspelled ingredient name typos on the Supplement Facts. And the strangest part: many of those shared ingredient profiles aren’t really all that great. So, what’s the deal?? Hard to say, and frankly that’s a rabbit-hole I feel like avoiding today. 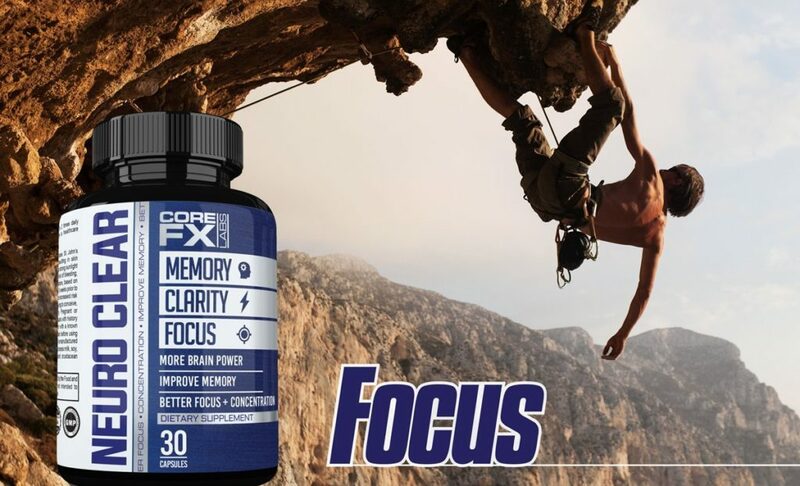 So, instead we’ll just focus on Neuro Clear’s “version” of this common nootropic formula in my Neuro Clear review. Enjoy the read, friends. Conclusion: Does Neuro Clear Work? Manufactured by CoreFX Labs, Neuro Clear is an 8-ingredient formula designed to improve memory, clarity, and focus. With St. John’s Wort as the highest dosed ingredient, Neuro Clear seems to spend special attention on serotonergic mood boosting, as well. All natural and caffeine-free. Neuro Clear takes the clean route to cognitive enhancement, albeit with substantial room for improvement. Directions: 1 capsule taken 1 to 2 times daily preferably with meals or as directed by a healthcare professional. Neuro Clear does away with that proprietary blend BS, transparently showcasing all of its individual ingredient dosages. Neuro Clear supplies all of its herbal ingredients in potent extract forms, as opposed to impotent plain powders. The result? Well… frankly, it’s too early to determine the results, as we’ve yet to take a look at the ingredients themselves — i.e., Do they actually work for boosting cognition? Only one way to find out, my geeks. Ginkgo Biloba (24% Extract) – Potent extract, decent dosage — Neuro Clear’s ginkgo biloba extract may help increase circulation throughout your brain and body, enhancing oxygen and nutrient delivery to your brain. The result: a better nourished brain for better, clearer thinking. More on Ginkgo Biloba. Phosphatidylserine 4% – Not the best PS percentage I’ve seen — many supplements supply 20% PS. Nevertheless, PS is an awesome nootropic phospholipid, important to the fluidity and integrity of brain cell membranes. Supplementing PS may improve cognitive clarity and longevity. More on Phosphatidylserine. Them bean-lookin’ things in your cells? 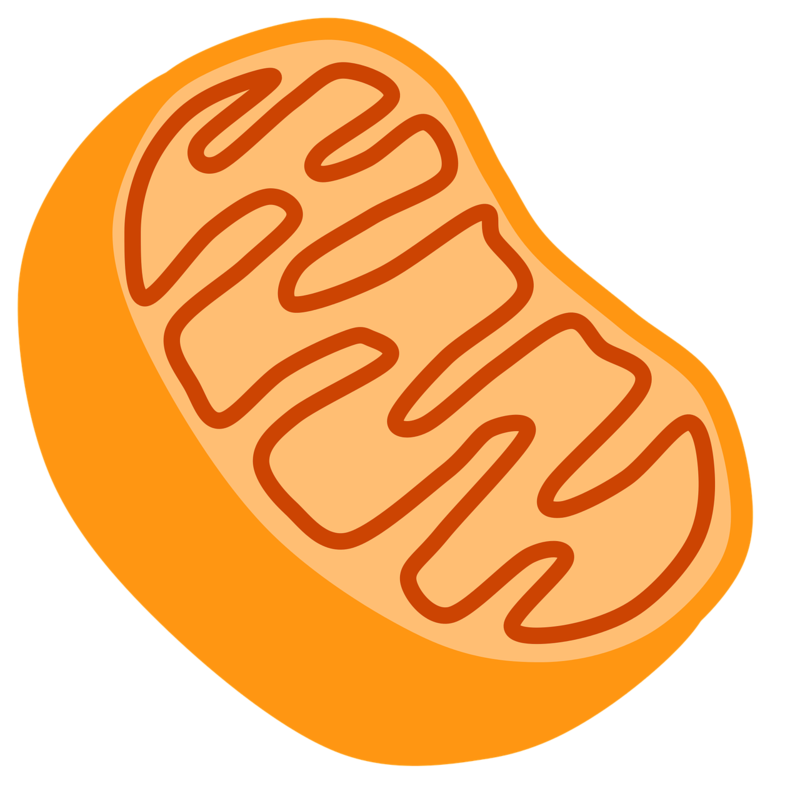 That them right there is your mitochondria. N-Acetyl L-Carnitine HCl – Seems like every brain health supplement in 2018 has ALCAR, despite this brain boosting amino only demonstrating support for elderly cognition. Theoretically, ALCAR improves brain metabolism by enhancing mitochondrial energy output, but the average, healthy user may not get much of a brain boost out of this guy. More on ALCAR. St. John’s Wort (0.3% Extract) – Viewed as a natural antidepressant, St. John’s Wort seems to act on the brain’s serotonergic pathways, improving mood and cognitive wellbeing. Due to St. John’s Wort’s actions on serotonin, it’s not recommended to supplement this stuff if you’re already on pharmaceutical antidepressant drugs. More on St. John’s Wort. L-Glutamine – The most abundant amino in the body, L-glutamine is a popular ingredient among bodybuilders and athletes, and it may help with cognitive recovery following a workout. But as a standalone nootropic, I don’t see much use for this here. More on Glutamine. 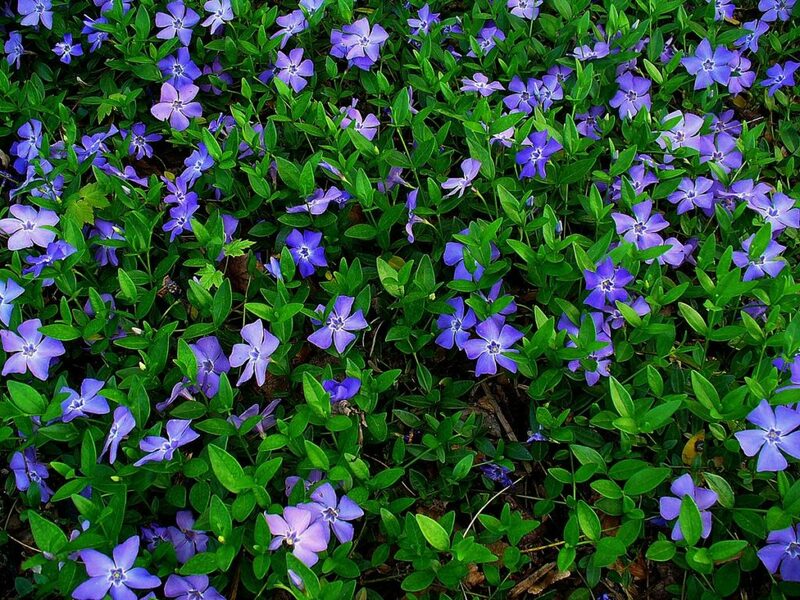 Bacopa Monnieri (20% Bacosides) – One of the most popular nootropic herbs, Bacopa monnieri is an awesome choice for its well-documented benefits on memory and learning. Of course, this is all a “be patient” nootropic, as it requires a few weeks of daily supplementation to reach peak effect… so be patient!! More on Bacopa Monnieri. Vinpocetine – In tiny doses, this semi-synthetic compound may improve cerebral circulation, further enhancing delivery of oxygen and nutrients to the brain. More on Vinpocetine. Huperzine-A – Similar to vinpocetine, hup-A is a semi-synthetic compound that works in tiny doses. Except hup-A works by inhibiting acetylcholinesterase, the enzyme responsible for breaking down neurotransmitter acetylcholine, a key brain chemical involved in memory and neural synapses. More on Huperzine-A. In other words, the clarity benefit leads to better memory, which is its own separate benefit that leads to more brain power. And the focus benefit leads to …well, better focus. Either the Neuro Clear team hasn’t been taking their own nootropics or their nootropics simply don’t work. Fortunately for them, I don’t judge supplements by their ad copy but by their formula. And, well, the Neuro Clear formula actually isn’t that bad. It’s not the best by any means, but it’s at least pretty decent, supplying a few impressive herbal extracts — Ginkgo, St. John’s Wort, and Bacopa — as well as a few awesome nootropic compounds — Phosphatidylserine, Vinpocetine, and Huperzine-A. Really, the only ingredients that I don’t particularly care for are the low-dosed ALCAR and unnecessary L-glutamine. Plus, there’s the fact that Neuro Clear keeps its formula non-proprietary, erring on the side of transparency, which is always a good thing for the customer. Compound that fact with Neuro Clear’s low price, and there’s very little reason not to at least try this supplement, if its ingredients excite you enough. Frankly, there are better supplement options on Amazon. But you could do much worse than this nootropic supplement. The herbal ingredients are all presented in potent extract forms. Bacopa monnieri, PS, Ginkgo — some of the best natural nootropics are in this stack. Neuro Clear is non-proprietary, somewhat clean, and affordable. The ALCAR doesn’t help most healthy users and it’s under-dosed. L-Glutamine isn’t all that necessary here. Could be removed to make more capsule space for the other, better nootropic ingredients. 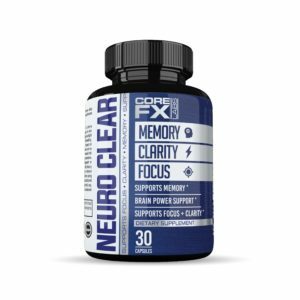 Neuro Clear isn’t the only product with this formula, so if you can find this stack for cheaper… might as well go for that instead. If you order the Subscribe & Save option, you save 5% per bottle on each shipment. Not a bad idea, if you plan on taking this supplement for awhile. Judging by Neuro Clear’s images on Amazon, this supplement is targeting a more active, outdoorsy demographic — your sort of indoor/outdoor “everyman” hipster who’s both tech- and trail-savvy. Or something like that. Although, really, anyone who enjoys clearer, cleaner cognition may find value in Neuro Clear. You can buy CoreFX Labs Neuro Clear through Amazon and eBay. If you try searching for this product through the corefxlabs website, you’ll only be redirected to Amazon, indicating that Amazon is the intended seller of Neuro Clear. For the health benefits of Memory, Clarity, and Focus, I’d pit Neuro Clear more so in the memory category — possibly clarity — but not really for focus. This stack will need something more actively brain energizing, such as Citicoline or L-Tyrosine, to achieve better focus. Not only that but Neuro Clear places a large emphasis on serotonergic brain boosts by using up most of its caps space on St. John’s Wort. If anything, this stack is more of a mood booster than anything else. And for those on antidepressants, that makes Neuro Clear somewhat of a bad idea. However, for everyone else, it’s neither the worst nor the best brain boosting option available. Again, if you’re willing to throw down the eighteen-ish bucks for this sucker, then it’s certainly worth a try. Otherwise… ehhh, it might be better to keep searching.